Everything is huge in Las Vegas: the billboards, the cars and of course the buildings. It feels like every second car is either an SUV or a limousine, and some of the roads within the city have four lanes on each side. 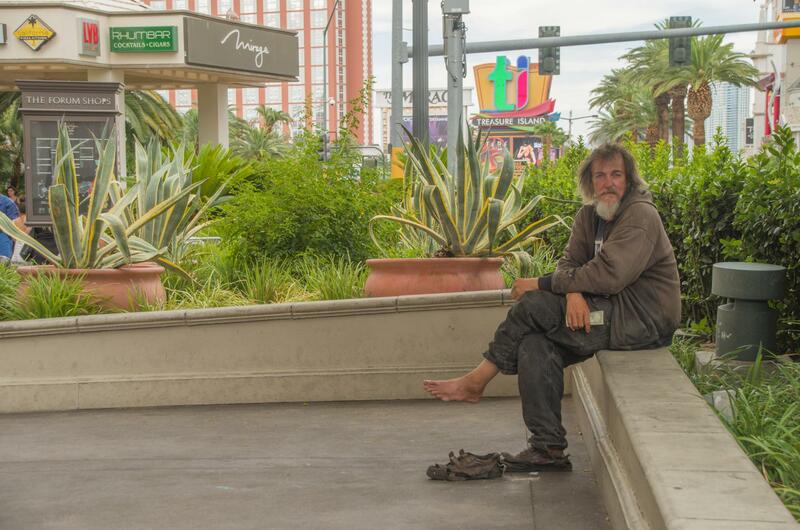 A few days ago, I walked from my hotel to Planet Hollywood, a casino on the strip. I saw the building from where I started and thought it would be a ten-minute-walk max, it took me more then half an hour to get there. Las Vegas is noisy and flashy. Signs telling you about what you should do and what you should buy. Background music no matter where you go. 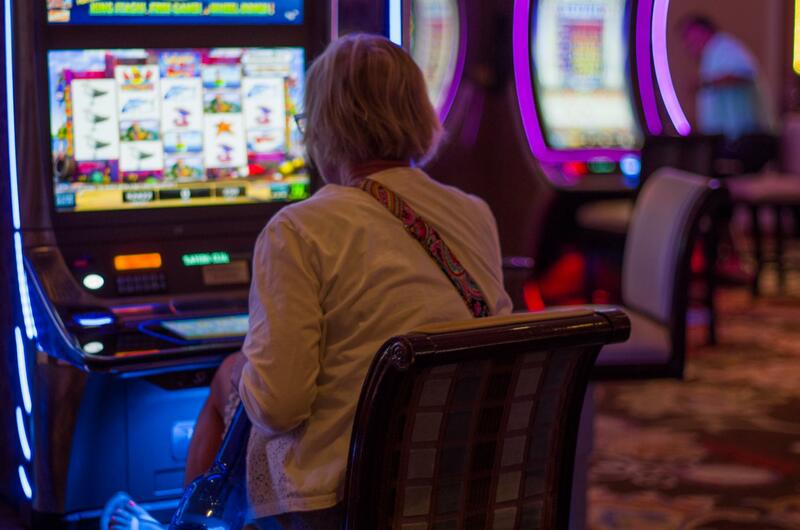 There’s an estimated 200.000 slot machines in the city, and they are all blinking and cheeping. It’s hard to find a quite place here. 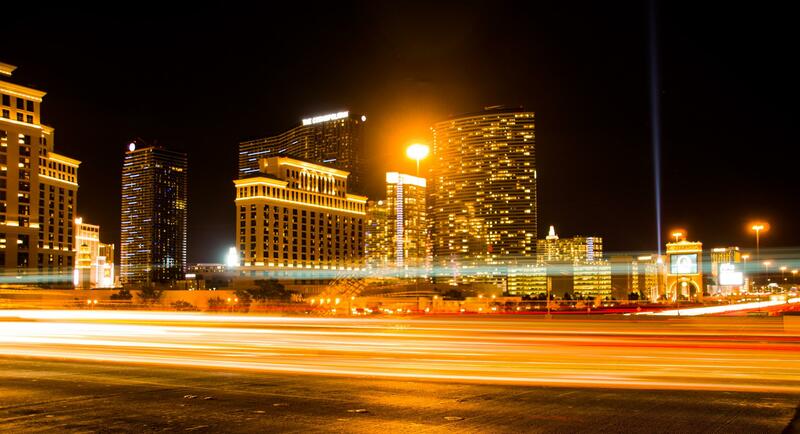 Every year in June and July, thousands of people from all over the world travel to Las Vegas to play in the biggest poker tournaments in the world. They play for fame, for bracelet-trophies and of course for the money. These days, the WSOP main event is being played out. 6700 players paid a buy-in of $10.000, first place will receive $8.000.000. Poker used to be a game played in smoky backrooms, played by old men with cowboy hats and cigars, staring at each other and trying to figure out who could bluff better. Since internet poker has become popular, the culture of poker has changed drastically. Looking across the Amazon room in the Rio casino, where the Main Event is being held, I can still see one or two cowboy hats but at least a few dozen baseball caps and hoodies. The young generation has taken over. When you see an older American at your table, you’re happy, because he’s probably a rich businessman who has been playing poker for decades but doesn’t have a clue about how it works. Poker has become a game of internet kiddies that base their decisions on game theory and mathematics. After every two hours of playing, there’s a twenty minute break. Big queues build up in front of the rest rooms. Some of the young German players meet up in a quieter space behind the Rio. They talk about their hands, smoke some, maybe have a snack and then return to their seats. Young Germans in their twenties, most of them playing poker online and clicking buttons for a living, and now ready to play cards for five-, six- and even seven-figure-sums. Das Wort „Glück/lich“ hat im englischen zwei Übersetzungen: „luck/y“ im Sinne von „das war glücklich“ und „happy/iness“ im Sinne von „ich bin glücklich“. Glücksspiel und luck, ja, das passt zusammen, aber Glücksspiel und happiness? In den Casinos von Las Vegas. Die Räume sind abgedunkelt, Uhren gibt es keine, die Zeit lädt zum Vergessen ein. Dutzende Menschen jeden Alters hocken mit ausdruckslosem Gesicht vor den Spielautomaten, starren auf den Bildschirm und drücken immer und immer wieder den gleichen Knopf. Irgendwas passiert dann vor ihnen auf dem Schirm, manchmal sind sie ein paar Dollar reicher, oft ein paar Dollar ärmer. Spielsucht in Vegas? Nicht präsent. Warnungen oder Hilfe-Hotlines gibt es keine, oder zumindest wird nicht darauf aufmerksam gemacht. So ist es kein Wunder, dass es auch ein Vegas der Mittellosen gibt. Selbst auf dem Strip trifft man auf Obdachlose, die in verranzten Klamotten auf den Straßen gammeln. Einen von ihnen durfte ich fotografieren. Er saß vor dem Treasure-Island-Komplex, hatte den Kopf in die Hände gestützt und sah zum Heulen aus. Als ich ihm einen Schein hinstreckte, lächelte er kurz, als ich auf die Kamera zeigte, nickte er und strich die Mähne zur Seite. Sogar ein Tunnelsystem gibt es unter dem Strip, in dem hunderte Obdachlose hausen sollen. Dekadenz und Elend liegen nah beinander in Sin City.